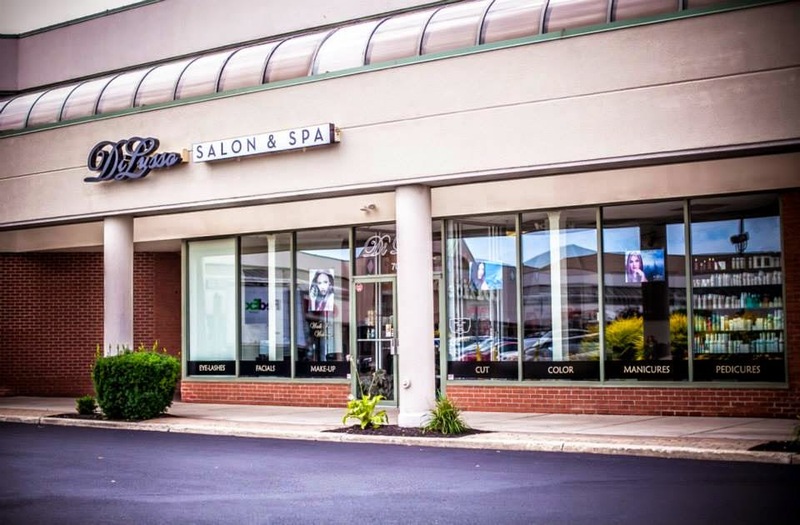 Di Lusso Salon & Spa is a full service salon and day spa offering all natural, organic products. Whether you need a trim or a whole new-do, DiLusso is special for their attention to detail, incredible customer service and exceptional services! "Organic products are all the rage, and for many good reasons," claims Marie one of DiLusso's aestheticians. "Parabens, found in most skin care products have been proven to cause hormonal imbalances and many of the chemicals can cause skin and eye irritation." Their hair color is from Organic Color Systems, 'a high performance range of long-lasting permanent hair colors containing certified organic extracts and natural ingredients.' These products are 100% ammonia-free with no parabens, absolutely no testing on animals, and they are safe for anyone with sensitive skin; those with cancer for example. Their skin care is Eminence Organics, the original leader in organic skin care. They are an active member of the Organic Trade Association (OTA), the association for the organic industry in North America. Excerpt from the Eminence website: "The OTA exists to promote and protect organic trade to benefit the environment, farmers, the public and the economy. The OTA is a leader in advocating and protecting organic standards so that consumers can have confidence in certified organic production." Eminence products contain all natural, high standard, hand picked ingredients from Hungary; made with fresh fruit, pulps, plants and exotic spices hand-mixed in small batches to retain their natural potencies to heal and smooth the skin. For every purchase of the Sweet Red Rose Whip, Eminence donates $5 to Breast Cancer research. Since 2007, Eminence has made a contribution of over $100,000 to research efforts! Also, a tree is planted for every product purchased! Their makeup line is Jane Iredale, the first mineral makeup line brought to the aesthetic industry. This makeup is made for women of all ages, skin types, and is great for those with skin disorders and sensitivities. The highest quality ingredients are used for optimum performance, coverage, application and texture. From foundations, pressed powders, blushes, bronzers, eyeshadows, lipstick and even mascara - all products contain vitamins and antioxidants and are beneficial to your skin. Di Lusso is located in Cheektowaga, across from the Galleria Mall, in Sam's Club plaza: 3735 Union Road, 14225. How to Have a Fabulous First Look! Presenting a Social Media Workshop!